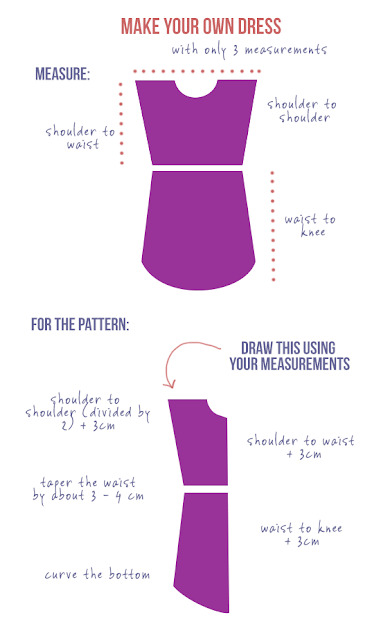 The graphic she has on how to create this basic pattern based on your body is helpful. 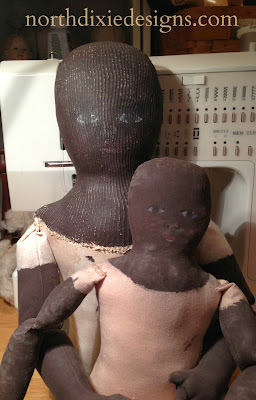 I think it's helpful when thinking about dressing folk art creations as well. You could replace the elastic with a casing and a drawstring, or use a waistband that is the measurement of the waist and gather the top and bottom to fit your doll. I asked Randomly Happy if I could share and she said, YES, great. So here you go. She has a whole SERIES on making this dress which is fun to check out. Check it out here, the other posts are listed in this post. I used to use this basic concept when making T-Tunics for SCA garb. Very simply expressed here, well done!